Fashion PULIS: Insta Scoop: Is Dani Barretto Pregnant? 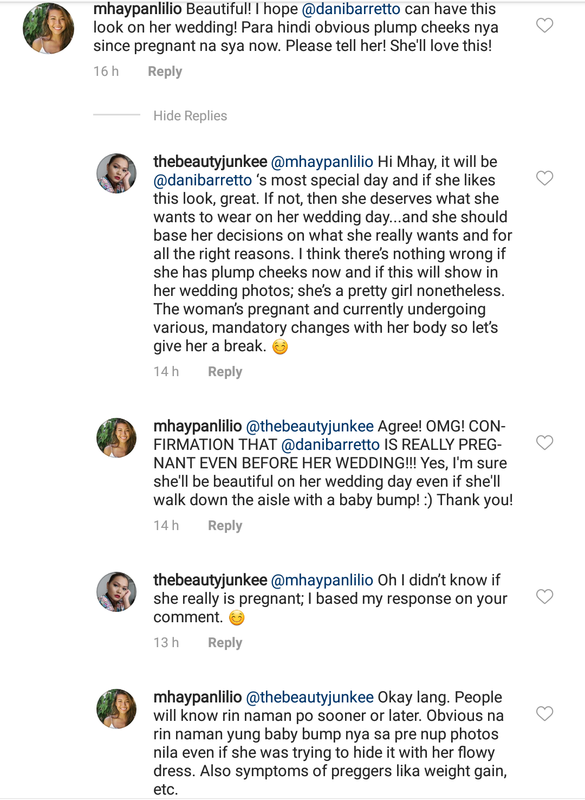 Insta Scoop: Is Dani Barretto Pregnant? It's not your story to tell. Grabe tong mga assumera. Nung bumalik si Dani sa pag yu-youtube, napansin ko nang lumapad sya. Pero let's not assume. Let them be. You know what, after that little chitchat with those 2 chismosas, people will now start assuming she's getting married only because she got pregnant! Jusme! Magtaka kayo kung ang boyfriend ang buntis. Mga chismosa. It's a poser account. The girl in the photo is Hannah Reyes Morales - Nat Geo photographer, who was also featured sa Time. This is the kind of people I easily write off of my life - mga chismosa at inggitera. Ugh! You should never out anybody's pregnancy or sexual preferences. True, kaloka! Kala mo surrogate sila na katawan nila ang nagbubuntis e! Palibhasa nothing interesting siguro sa buhay nila. Ikakasal na si girlet, jontis or not. Maging happy na lang, pwede? The chismosa account is pretending to be Hannah Reyes Morales, Pinay Photographer for Nat Geo. The nerve. Bastos yang Mhay na yan ah! Dani is also giving people hint that she is pregnant e. She posted food cravings right after her engagement but then again I agree siya ang dapat mgconfirm. I actually thought of this when I saw the proposal posts on IG. Halatang she has baby bump or rather she gained weight. Anyway isn't her fiance's lastname Panlilio? Does it mean relative yung commenter I think? Obvious na rin siguro dahil just weeks after engagement magpapakasal na sila agad. I thought so too! Gulat ako. Prenup agad. The beauty junkee is a blogger. The other girl naman is related to Dani’s fiance yata. Atleast papa kasalan pa rin siya :) I think the guy is so nice naman And love na love niya si dani. Why not let Dani make the announcement if she doesn’t wanna do it, prerogative nya yun. Hindi ko kilala ai Mhay whatever her name is but uncalled for itong pagnahash nya. sows. may hidden agenda si ate gurl on outing dani barretto. hahha! Haha ang obvious naman ni ate, “sobrang concerned” naman nya. 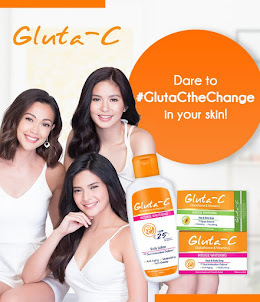 Pwede naman nyang di na lang minention ang plump cheeks due to pregnancy etc. Jusko, inunahan ang taong concerned. Not proper. If she don't mean any malice dapat sa private message lang Yun. 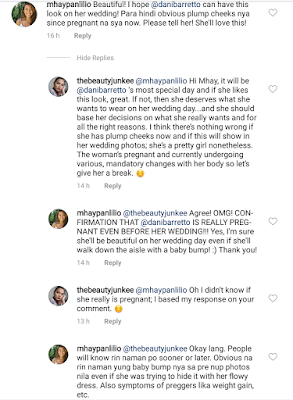 The ig account mhaypanlilio is fake troll. Someone made that account to humiliate Dani and ruin the moment. Nakakainis lang na may mga taong ganyan. Minsan hindi mo naman kinakahiya yung pregnancy, but you just want to keep it to your circle, stay away from judgemental peoples eye and mga taong mas may alam pa sa buhay mo. Ke buntis o hindi is none of pur business, let us just ficus on this wonderful celebration of love. Maybe she's someone who know Dani personally. May inggit siguro Yun. And if she is, isn't it wonderful that she and hubby to be has no problem in that department, given that so many couples are trying in vain to have a child? But these people are rude and mindless. Can't wait to announce, eh? And it's not something you discuss where any others can read. You do that via DM, if there's a "need" to! One more thing, why is it so much a big deal for some if she is, isn't it that most of the Pinay brides from at least 30 years back are pregnant before marriage? I'm mid30s and my mother was visibly pregnant I'm her wedding pics. Don't we know at least one bride who is getting married because they got pregnant? But they don't openly announce it, much less these gossips did before the couple does. Although username mhaypanlilio is obviously a poser account, her story seems to be a legit one. However, it has never and will never be nice to announce somebody's pregnancy. One of the things people should never ever do! Ito lang noh, congrats oa rin kay Dani dahil pakakasalan siya ng taong mahal niya.Nasa edad na rin naman sila para mag asawa.Yung iba inggit hindi pakasalan. A baby is a blessing. Sure ako na kung sino man yang nagpanggap na mhay panlilio na yan ay malaki ang galit at inggit kay Dani or sa masayang pamilya nila. Buti pa si dati magiging ina na. Eh yung commenter kaya? Who is this epal girl? My Goodness! Pregnant or not, it's Dani's story to tell! What has social media done to stupid people?! Symptoms of being preggy like weight gain? LOL! I gained weight for the past few months of 2019 but I ain’t preggy! Hello, it’s 2019. More so, why would she want to reveal about someone’s pregnancy when the family and the lady herself aren’t talking about it yet? Masyadong papansin! Eh yung mauna pa sila mag announce sa buntis talaga? So what kung buntis bago ikasal. At least pakakasalan. I dunno if she's really pregnant pero naisip ko na yan last year kasi tumaba sya. Pero tumaba lang sya. Lol. Peopleeeee pasikat much. nung nakita ko dito sa fp yung prenup photos nya medyo preggy na nga yung hitsura nya tapos mostly sa pics tinatakpan pa c dani lalo sa lower body part. a baby is always a blessing, congrats to them! hindi lahat ng buntis tumataba, ako nga super payat kasi may hyperemesis gravidarum while pregnant. Shunga lang eh, basta mataba buntis na kagad. I think she really is pregnant. If you'll notice on the latter part of her recent vlog about her dad, someone asked if she's ready to get pregnant after the wedding. She answered, "yes ready na ako, kahit ngayon pa ready na." atribids si ateng. kung buntis man, congrats! I was about to comment that she looks preggy sa prenup photo niya but I meant it in a good way. She is actually blooming. Napaka-self-righteous naman ng Mhay na yan kung maka capslock ng pregnant before her wedding. Totoong hindi lahat mataba, buntis... But looking at the pics of Dani, yung tiyan nya talaga lumaki. How would you call that? Obvious naman yung commenter na hindi sya talaga happy for Dani, plastik na plastik at gusto lang nya ipagdiinan na buntis na si Dani bago ikasal. Hindi yan friend, parighteous friend yan, kunwari happy pero pasimple/palihim na nangdodown. 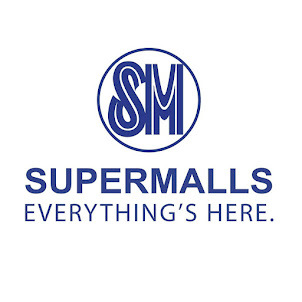 Ano ba 'tong dalawang 'to? Mga atribida, di man lang maging discreet, muka tuloy gusto tlga nila ibuking na buntis c Dani. Pretentious and fake people. Pretending to know better about looks and praising Dani kuno pero using it actually para manlait at maglagay ng malisya sa buhay niya. Inggit lang naman ata mga yan. it's hard to tell if she's preggy kasi tumaba na siya even before. but she never denied so maybe she is pregnant talaga. Para sa mga taong nagmamahalan, best wishes! Go yan.Swerte ang baby.God bless! 🇺🇸 : Wow! Congrats on your pregnancy!